World-leading expertise from the University of Southampton and Lloyd’s Register is being brought together in the largest research collaboration of its kind in the UK. The alliance, announced today (Thursday 16 December 2010), will redefine the relationship between academia and business. Drawing together the engineering excellence of both organisations in a new research hub in Southampton, the collaboration will focus on innovations in transport, energy and the environment. Academics and industry experts will combine forces throughout the entire process of identifying and researching challenges faced by businesses and communities worldwide to more effectively deliver solutions. Hundreds of staff and students from the University and engineering and technical staff from Lloyd’s Register will work together at a new technology and education campus. 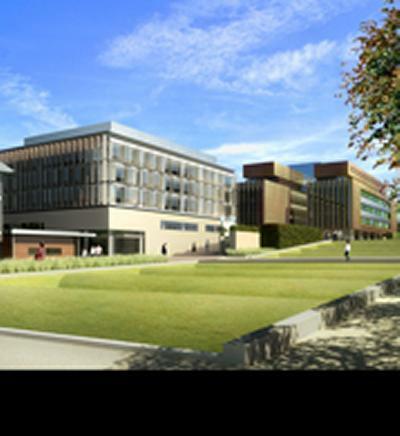 Work will commence in the New Year on the state-of-the-art University of Southampton Centre of Excellence, which has an initial investment of £116 million. The campus will include the Lloyd’s Register Group Technology Centre, the cornerstone of the organisation’s global research and development network. "This marks the beginning of a groundbreaking collaboration between the University of Southampton and one of the world's leading knowledge-based organisations," comments Professor Don Nutbeam, Vice-Chancellor of the University of Southampton. Richard Sadler, Chief Executive of Lloyd’s Register, adds: "Today is an exciting and historic day for Lloyd's Register and our colleagues at the University of Southampton. We have been brought together by the mutual belief that sustainable industries will be increasingly driven by the need for new technology and expertise to meet the demands of society and emerging regulation. "The agreement combines the best of academia and business to simultaneously support industry and society by promoting vital research into subjects such as cleaner fuels, safer work environments and more dependable infrastructure." The University has received funding from the Higher Education Funding Council for England and the South of England Economic Development Agency to enable the new Centre of Excellence to take shape. At the heart of the Centre there will also be a Maritime Institute, drawing on the University’s wide range of expertise in maritime engineering, ocean science, law and business and strengthening links with the existing, highly varied range of marine businesses on the south coast. The Institute will aim to stimulate innovation, create new businesses and establish the city of Southampton and the wider south Hampshire region as a magnet for inward investment in the marine sector in the UK. Professor Nutbeam adds: “This is great news for the University and for Lloyd’s Register. It’s also excellent news for the city, the region and for UK plc. Research and innovation are key drivers for building a strong knowledge economy, and we know that governments around the world are looking to collaborations such as ours to help secure a strong economic future." The first phase of the development at the University’s former Boldrewood campus is scheduled for completion in 2014.